One of the most enjoyable things about racing and breeding in Australia is the fact that it is a year round spectacle. There is good, competitive racing in one state or another, through every month of the year, so the appetite of a bloodstock enthusiast is very well served in this part of the world. It’s often remarked to me by our European-based visitors during the yearling sale season that the absence of quality flat racing up there from November through to April (owing to the weather) causes the winter months to really drag on – this is probably part of the reason that the Australian industry has become progressively more appealing to investors and participants from Europe. However, one downside of the relentless activity here is the fact that it doesn’t allow much scope for down time and dates for holidays invariably clash with a bloodstock event of some significance. 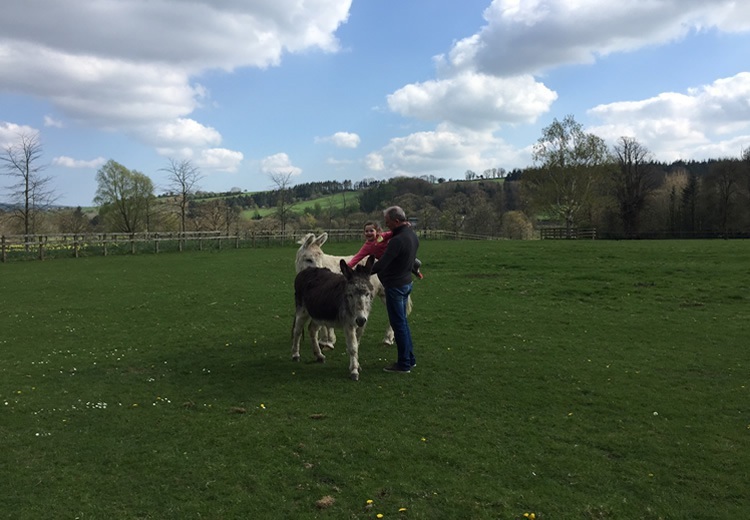 Luckily, this year I found a couple of weeks after the hustle and bustle of the Easter Sales to travel to Ireland with my four year-old daughter Ella. Return trips to Ireland are something that I look forward to and they usually provide a sense of perspective. A quick look through a race card on any particular day in Ireland or England shows what a fantastic position owners in Australia are in, relatively speaking, in terms of prize-money. The earnings of the majority of horses in Britain and Ireland pale in comparison to those of their Australian counterparts. It is undoubtedly one of the biggest challenges faced by the sports administrators in that part of the world in terms of trying to attract new participants to the sport and while it is one they are trying to address, it’s certainly not a straightforward issue. They have looked in some way to try and replicate the positive effect of the Australian incentive schemes (BOBS, VOBIS, QTIS etc.) with the ‘Plus 10’ system which sees a bonus payment made to affiliated horses that win specified two year-old races. It is certainly something that is considered a step in the right direction, but it’s not at the same level as Australia by any stretch of the imagination. I always try to visit Coolmore when I go back to Ireland and it’s invariably fascinating, particularly seeing the younger horses. As is the case with any stud farming operation, the development of the next ‘top’ sire is the objective. 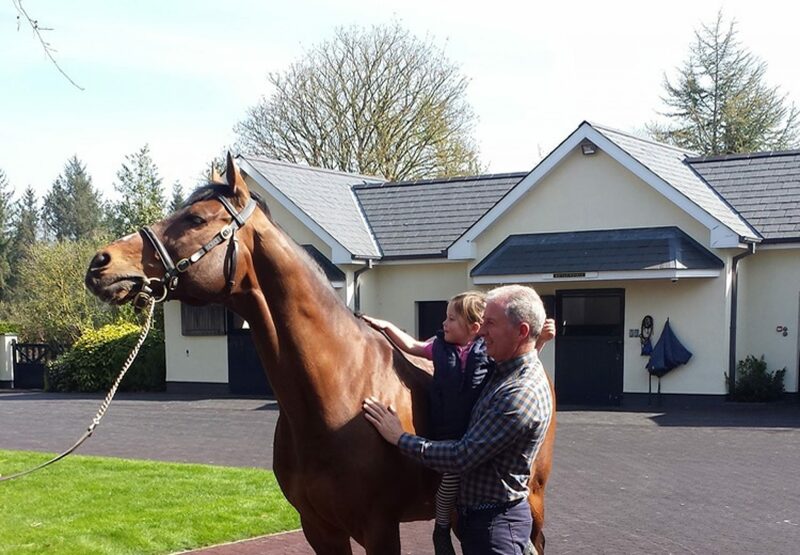 In the case of Coolmore in Ireland, it is about finding a successor to Galileo - what an amazing stallion he is (As you can see in the photo, Ella enjoyed meeting him!). I was shown his figures for racing year of 2014 and they make for eye-watering reading… 39 stakes winners, 8 Gr.1 winners (of which 3 were two year-olds) and a total of 69 black-type horses over the course of the year. It’s just staggering what the horse is doing and personally I’m glad that we have quality exposure to his line in Australia this season with Adelaide. The feeling up there is that both Zoffany and Canford Cliffs will be in the shake-up when champion first-season sire honours are being decided at the end of the season and based on their results so far, such confidence looks well placed. The early success of Zoffany comes as no surprise given his profile – it’s rare for any horse to win 5 races at two, but he did and his stock seem to have inherited his maturity based on the early evidence. Some of the lads in Ireland were also quick to tell how lucky breeders are in Australia in terms of stallion options. The variety of sire lines available to Australasian breeders on their doorstep is quite remarkable. While the commercial marketplace appears to be showing a preference for the progeny of colonially-bred stallions, results on the racecourse serve to demonstrate the fact that owners and breeders are enjoying high-level success with the progeny of a diverse range of stallions. To mid-May there had been 272 stakes races in Australia, with 40% of those having been won by the progeny of non-colonially bred stallions. For instance, none of the Blue Diamond, Golden Slipper or Sires’ were won by the progeny of colonial stallions while the sire of the Champagne winner stands in New Zealand. Increased diversification of the gene pool in Australia is fundamentally important in my opinion to the continued progression and development of the Australian thoroughbred, so it is encouraging to see ‘different’ sire lines so well represented in the results of the best races. To be honest, the biggest thrill Ella had at Coolmore was when she got to chase after some donkeys (as you can see in the photo!). Beyond the donkeys, her favourite horse on the trip was So You Think – it was a long way to go to discover that her favourite horse was one that lives in Australia! – and he’s one of my favourites too. His sire gave me one of the best days I’ve ever had in racing when his daughter Fenway won the G1 Vinery at Rosehill during the Autumn Carnival and he’s a huge loss to international breeding, as the deeds of his progeny have shown since his death. I purchased Fenway as a yearling at Easter for good friends of mine, Greg and Jenny White, and she’s now one of the more valuable fillies that you’ll find – I think Duncan Grimley still regrets selling her! Hopefully the likes of So You Think and Adelaide can go on to fill the role of High Chaparral – they’ve certainly got the credentials to go and do so. As I write (and I’m a very slow typer!) the National Sale on the Gold Coast is coming to an end. It’s been a really incredible sale, particularly for Pierro and really it’s just the tip of the iceberg for him. He’s going to have some exceptional yearlings on offer next season and no doubt there will be plenty of clamouring amongst the sales companies to try and secure as many of his yearlings as they can for their respective sales – everybody wants them!